Toastmasters Speeches: Leave Them With a Smile-Sample Speech, "Into the Contest Zone"
Leave Them With a Smile-Sample Speech, "Into the Contest Zone"
This speech was delivered at the Alabang Community Toastmasters Club in the September 26, 2015 Toastmasters Meeting. Good afternoon fellow Toastmasters. Well, the speech contest season is once again in the air! And we congratulate toastmaster Ian/Dolly for his successful participation in this morning’s Division contest. I remember the first time I participated in a speech contest many years ago. But I was not a contestant then. No. I was a test speaker or what was also known as model speaker. A test speaker is one who speaks in an evaluation contest and the contestants evaluate the test speaker. The contestant with the best evaluation wins. My mentor in Toastmasters then was Doctor Noy. I was just on my 2nd basic speech then and was not qualified yet to compete. So Doc Noy entered my name as a Test Speaker in a speech contest held in the old Bureau of Customs building. On the day of the contest, I arrived at the venue and Doc Noy told me to sit anywhere and wait until the contest starts. So I found a seat and waited. Doc Noy was busy with the contest details. I wanted to ask him questions about the contest, but he was just moving here and there. I was still new to Toastmasters and didn’t know a thing about contests. When the contest was about to start, I saw Doc Noy seated two rows down from where I was seated. I was calling his attention to ask questions, but he was ignoring me and acted as though he didn’t know me. I found it very strange. I had questions like, who will call me to speak? When will I be called? How will I be called? And then I heard my cellphone. Goodness, I thought. I forgot to put it silent mode. I had a text message. It was from Doc Noy who was just seated two rows back! And do you know what he texted? “Les, don’t talk to me, don’t look at me. Your identity as test speaker is confidential.” When the contest finished, Doc Noy explained the reason for the confidentiality. That contestants are deliberately placed in an unfamiliar setting where they neither know the test speaker nor the judges. And this is to prevent contestants from getting any undue advantage because of any familiarity. Now, even if I didn’t compete in that speech contest, the feeling of speaking in front of a big audience was awesome. 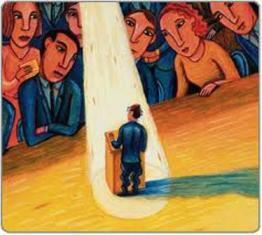 Who has joined a Toastmaster speech contest? Great! Now to those who haven’t done so, I encourage you. It is not just about winning. It is about growing as a Toastmaster. Of course winning would be nice! 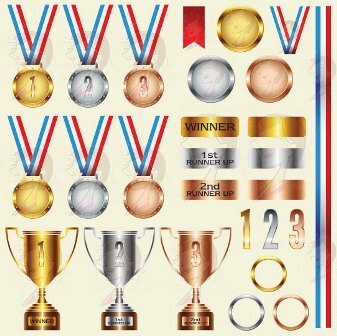 Everybody wants to win and get medals and trophies. But two or more years down the road, the medals, the trophies would be gathering dust and would anybody really care? But the preparations and the experience would elevate you to a whole new level of competence and confidence as a speaker. Try out something new for a start. Volunteer to assist in organizing a contest. Volunteer in the registration table. Attend contests! That way you will get a feel for the speech contests. A few months after that episode, I myself became a contestant in a speech contest known then as the Quartethlon Speech Contest. It was a grueling speech contest of four events: Prepared Speech, Evaluation, Table Topics and Singing. Yes, each contestant had do all four. I even competed against Volts Victoria at that time. I don’t know if it was my atrocious singing or Volts’ outrageous costume and dancing. Because after that, the singing event was banned by Toastmasters and the Quartethlon contest was stopped. Anyway, that speech contest stretched me beyond my limits. And after that I always thought that a Toastmasters journey is never complete until he joins a speech contest. The only ones that lose in a speech contest are those who don't participate in it. Everyone who joins a contest wins, one way or another. So step out from your comfort zone. Stretch yourself and step into the contest zone. Toastmaster of the Day.